Happy New Year to all! Out with the old and on with the new! I always make new years resolutions and of course don’t always do very well at them, but every year I am hopeful! This year is no different and have a long list of things to improve in myself! I raise my glass to being hopeful. Below is a photograph of a painting my very talented husband painted for a friend. 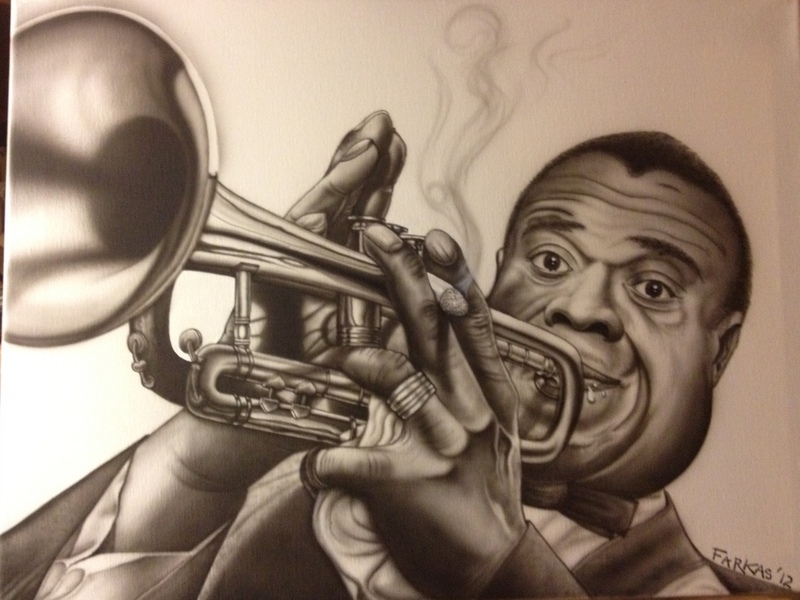 It is of Louis Armstrong and I just had to share it with all of you because after 27 years together I am still shocked by his talent. I also raise my glass to a talent filled artful year ahead for both of us. Wow, that’s incredible! Tell him I’m in awe of his talent! That is an amazing painting! His face shows so much expression. He is a talented artist! Your hubby painted that?! Wow such a talented guy.